The opening reception for the Hartford Art School Alumni Juried Exhibition went very well! There was a nice turnout. The show contains a wide variety of styles and media. For anyone interested, there is a exhibition catalog available for purchase through The Hartford Art School Alumni Committee's Bookstore. 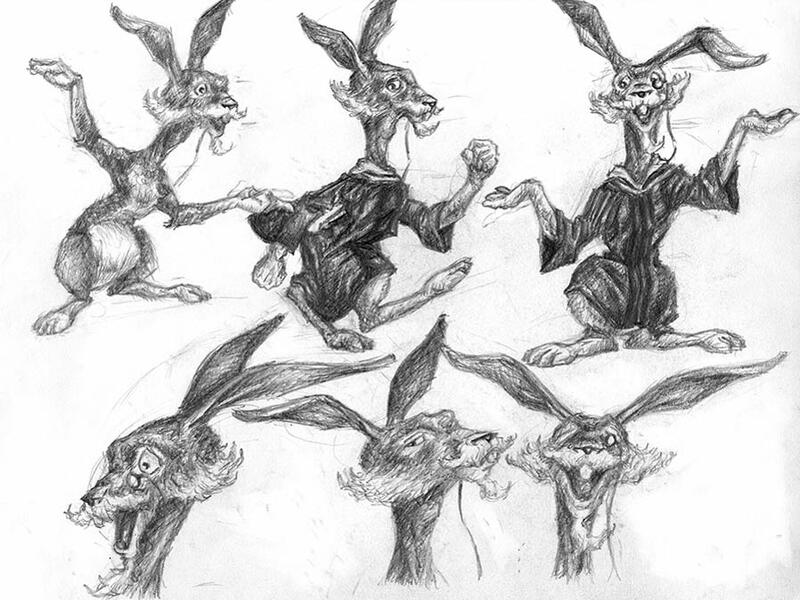 I'm placing a few more character studies / model sheets that I used as part of the Graduation series. Seeing that one of the illustrations in the series, Graduation Celebration, is up in the alumni show, I thought it fitting to include a few more sketches that contributed to the development of both the characters and the story. 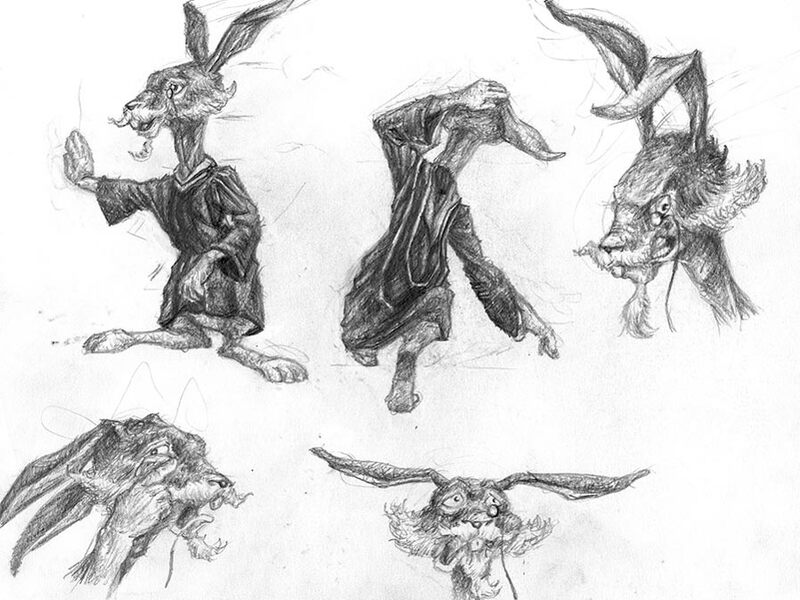 The rabbit was a fun character to design. He is one of three teachers (the owl and the turtle are the other two), that the child dreams up. While both scholarly and wise, he also has a good sense of humor and enjoys having a little fun. When working on character studies, the challenge is to successfully create a personality that can be associated with your creations. Poise, emotions, proportions, clothing, and so on all play an important role in creating a unique individual whom one can see living and interacting in his or her respective environment.